Background photo by Ester Inbar. 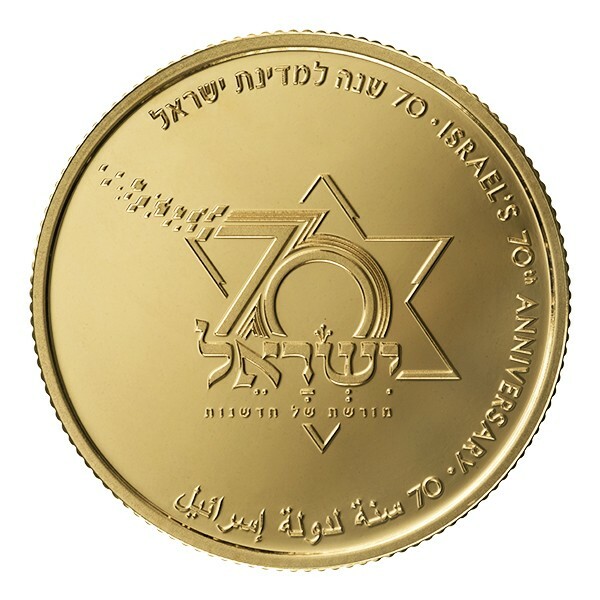 The Bank of Israel have issued (12th April) gold and silver collector coins in celebration and remembrance of the 70th anniversary of statehood, which was officially declared on the 14th May 1948, the day before the expiration of the British administration of what was previously referred to as the Mandate of Palestine. Israel would be admitted as a member of the United Nations by majority vote on the 11th May 1949, with this vote to admit Israel as a member of the UN also came the organization’s de-facto recognition of the state of Israel. 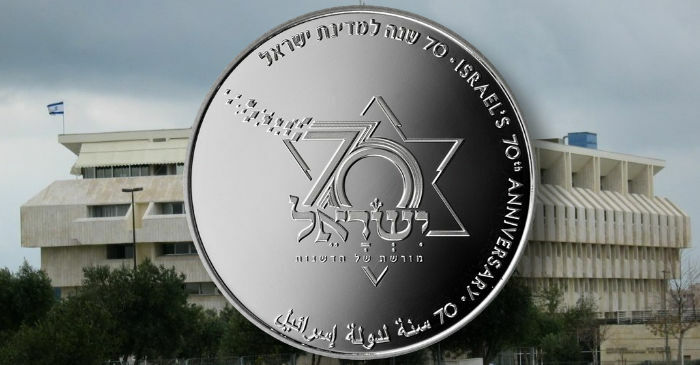 Israel’s 70th-anniversary collector coins are issued to celebrate an exciting, historic milestone and includes the official logo of the 70th anniversary which graces the obverse of the coins. The design includes the slogan in Hebrew, “Heritage of Innovation,” which symbolises the heritage and history of the state of Israel together with its innovative, creative spirit. The coins are designed by Michal Hamawi and are issued in gold and silver, sharing the same designs on both obverse and reverse. 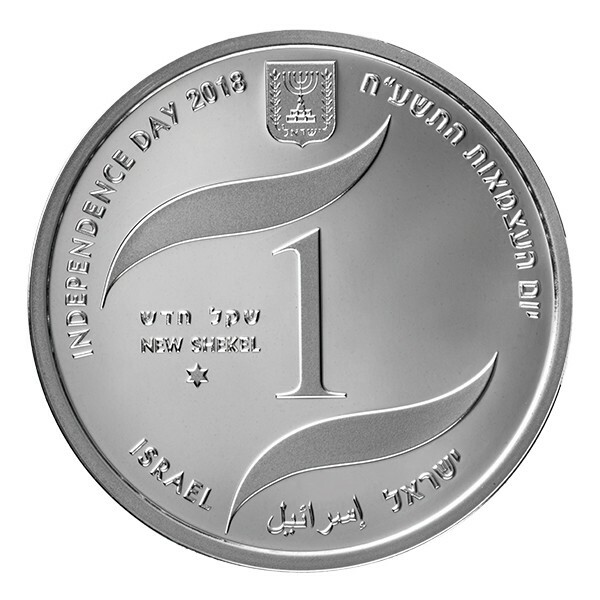 The obverse includes the Israeli State Emblem and the text ISRAEL in English, Hebrew, and Arabic. 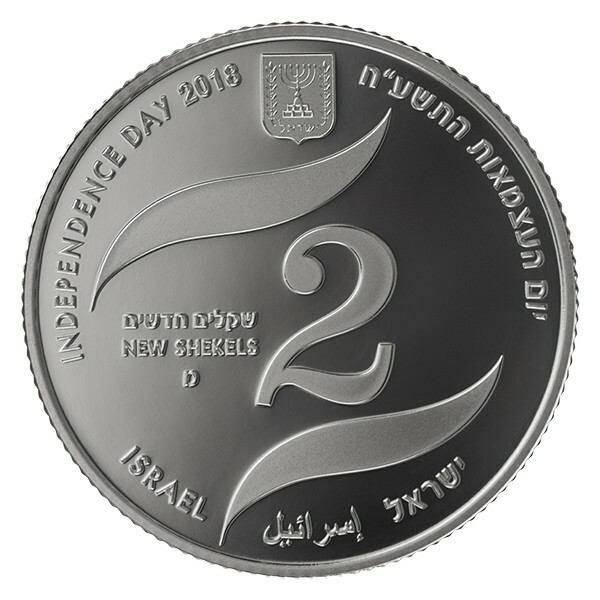 The commemorative text reads INDEPENDENCE DAY 2018 in English and Hebrew, including the face value and year of issue. The decorative motif includes two wavy lines, one above and one below the face value’s numeral in the centre, symbolising the flag of Israel. 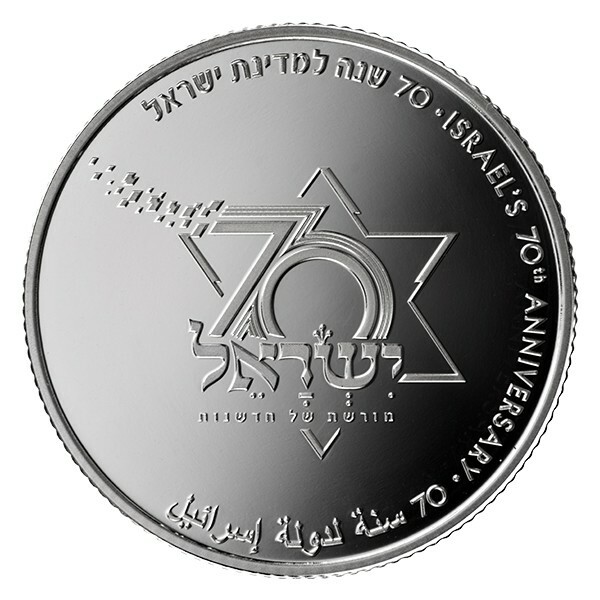 The reverse depicts the official “Israel 70th Anniversary” logo with the Star of David, a symbol of the Jewish people, in the centre. 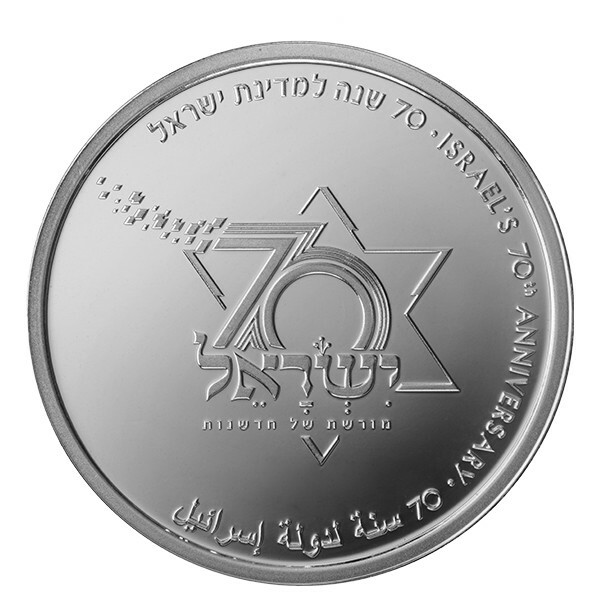 The figure 70 denotes the years of independence of the state of Israel and blends with the Star of David. Along the base of the Star of David is the word “ISRAEL” in Hebrew scribe style, as it appears in the Holy Scriptures, and beneath it, the words “Heritage of Innovation” in Hebrew, which together express the character of the state of Israel — a blend of tradition and innovative spirit. Around the border is the inscription Israel’s 70th Anniversary in English, Hebrew, and Arabic. All three coin options of the gold and two silver examples are available as separate purchases. The two silver examples of one and two shekels are available as a two-coin set and the three coins including the 10-shekel gold and two silver coins are also available as a three-coin set. Each coin is encapsulated and included in their respective presentation options with relevant certificates of authenticity. 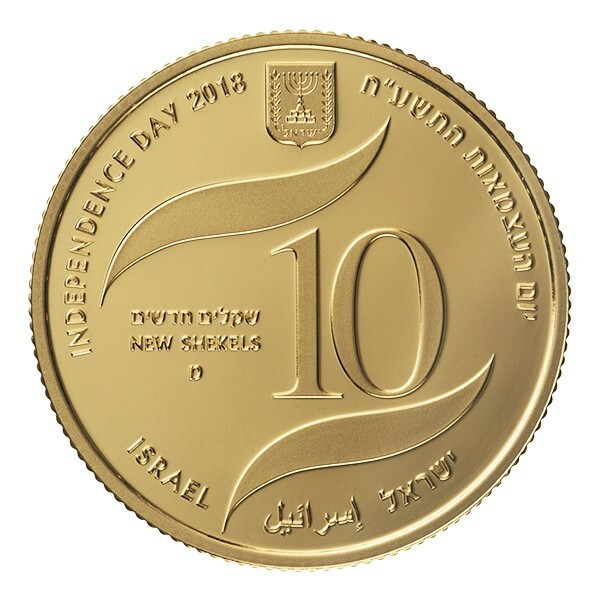 For additional information on these and other coins issued by the Bank of Israel, please visit the website of the Israel Coins and Medals Corporation (ICMC).